Internet privacy has become one of the fundamental human rights of the 21st century, and a basic requirement for managing personal data. But basic doesn’t mean easy. To ensure your data privacy compliance needs are covered and easy for you to manage, we created our own set of complementary tools. Your company interface. It allows users to manage consent, read policies, send data subject requests or see your company and DPO contact information. One they’re done, users can choose to have their session deleted through the Forget Me option. 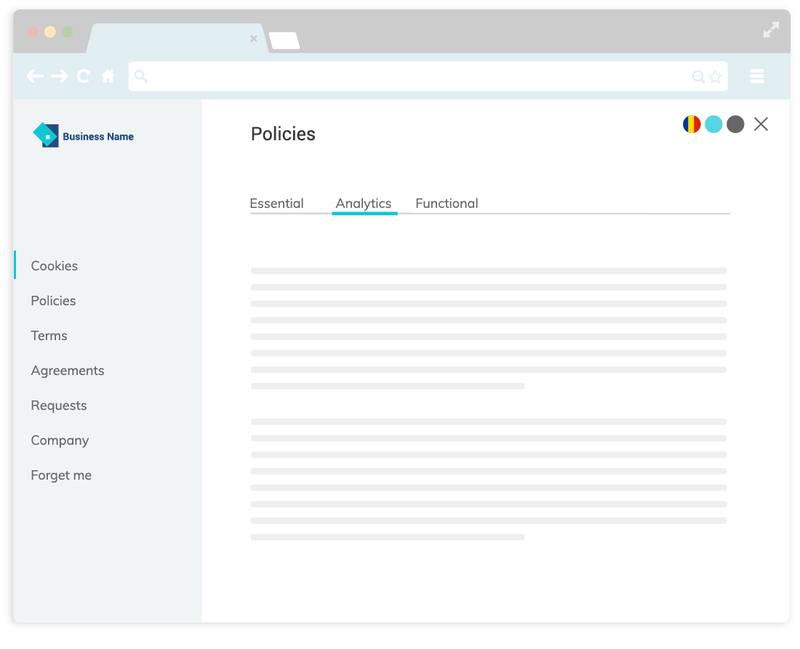 Your data subjects’ privacy control panel, where they can manage consent, explore their rights, view all your policies, procedures, terms & agreements, and submit requests. Whenever a data subject sends a request, we verify his identity through a confirmation email that includes a unique validation link.